We will be returning to Vivid Sydney: Festival of Music Light and Ideas in May 2019 to accompany the visual projections of J D Young, hosted by Brand X, Darlinghurst. We look forward to performing next week at Bondi Feast, a 10-day winter festival. 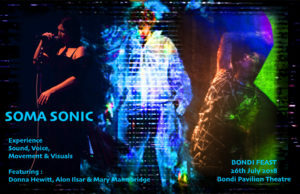 Curated by Donna Hewitt, Soma Sonic will host new works by Donna, Alon Ilsar and myself. 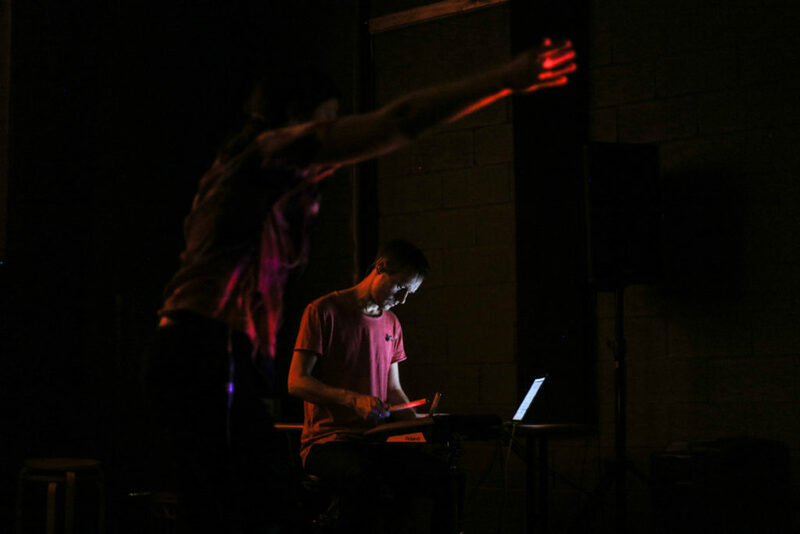 Improvised visuals and rhythms by J D Young, Meeghan Oliver and Robbie Mudrazija will feature in a new work for gestural instrument, the Etherstring. Meeghan Oliver, bass player from bands such as R K Alley and Hoax Trinket, will be joining Deprogram at our Vivid show – Intangible Instruments – on Friday June 8. Her gritty, multifaceted bass sounds complement Robbie Mudrazija’s electronic percussion to form a solid rhythm section. 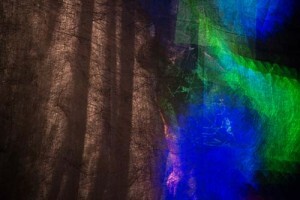 Together they ground the ethereal and abstract textures of the new instrument we’ve been developing, the Etherstring. 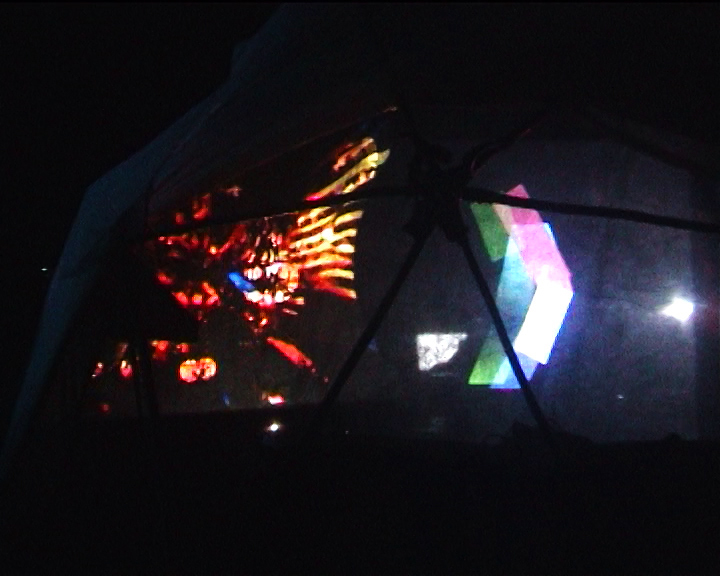 The show opens at 8:45pm with a set by Deprogram and is followed by collaborative and solo performances by electronic music composer, vocalist and instrument designer, Donna Hewitt and composer, Julian Knowles. Intangible Instruments, kindly hosted by 107 Projects as part of the larger event In Frequency, showcases our latest developments in gestural instruments and explorations between voice and movement. As well as presenting a new work, Intangible Spaces, I am excited to be working on a collaborative piece with Donna Hewitt. 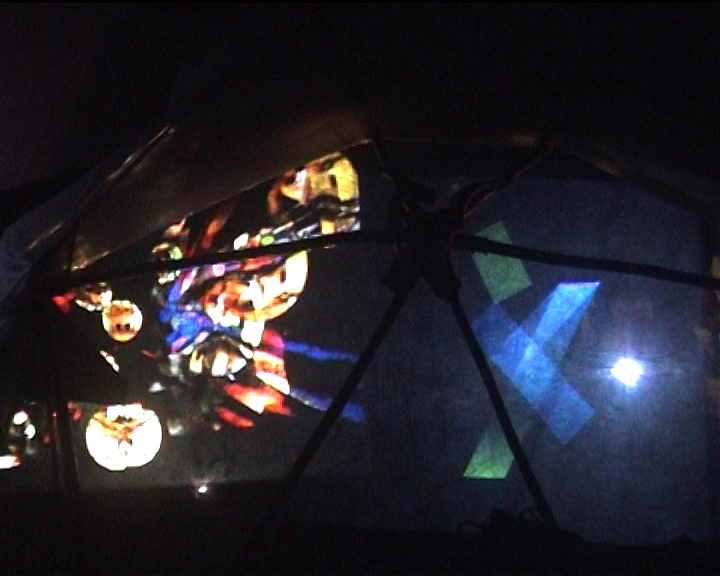 We will combining our gestural systems to process and accompany each other’s voices. 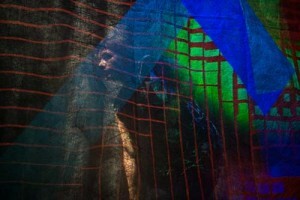 The work investigates links between voice, physical gestures and personal empowerment. 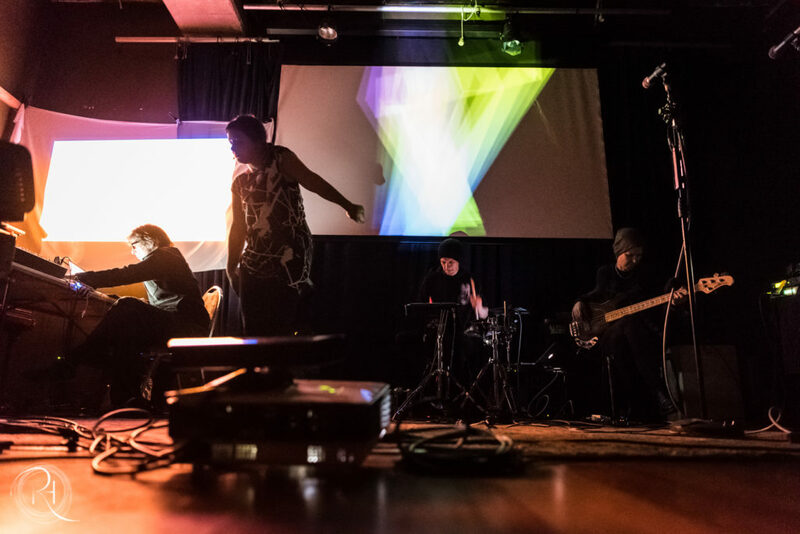 We are returning to 107 Projects, Redfern, for a night of interactive performance as part of Sydney’s 2018 VIVID Festival of Light, Music and Ideas on Friday, June 8. The event will explore the intersection between movement and the voice, featuring solo and collaborative audiovisual pieces by Deprogram, Donna Hewitt and Julian Knowles. I will post more details as our ideas, interfaces and works develop. After a long hiatus, we are playing at the 2017 Electrofringe Showcase, presenting some new compositions with the telechord, the polyphonic theremin we’ve been developing and refining over the last 3 years. 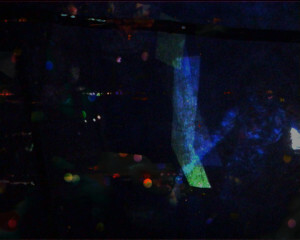 The show will be on at 107 Projects, Redfern on Saturday, November 4. 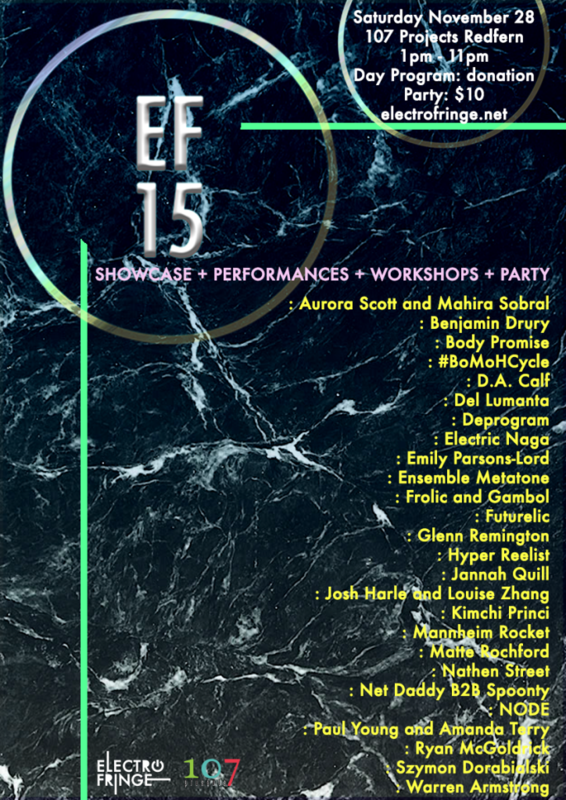 We’re preparing for a show at 107 Projects, Redfern, as part of the Electrofringe Festival showcase. 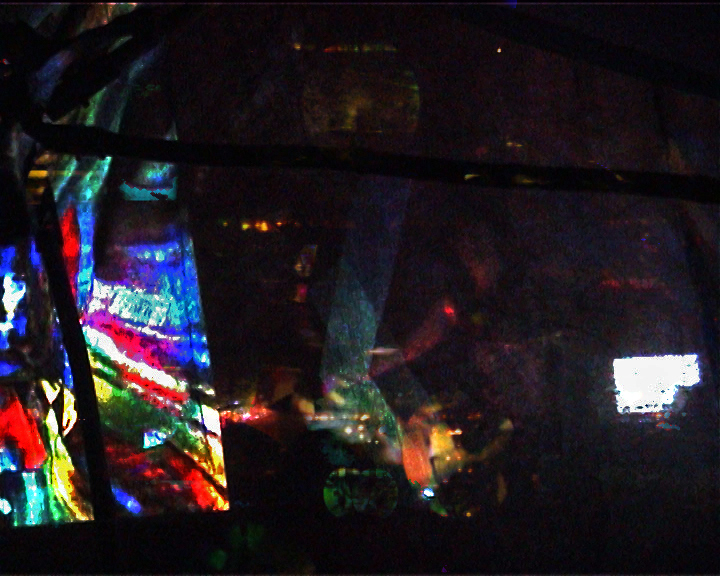 We’ll be performing at 5.15pm with Telechord, bass, drums, interactive and live visuals. I will speaking beforehand about the process of creating the work and designing the main movement-controlled instrument, a type of polyphonic theremin. 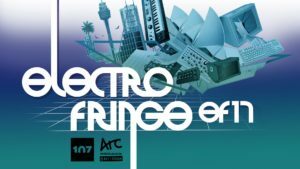 This is the first time Electrofringe has left Newcastle, so it’ll be interesting to see how the event transforms in this new exhibition-style environment. 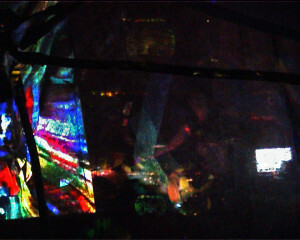 Entry is by donation and you can find more details at electrofringe.net. 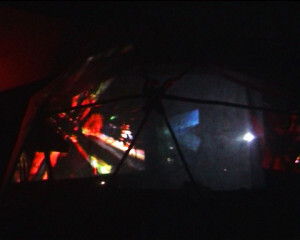 Here are some photos from the chill dome at New Psycle, where we presented the first outdoor new version of Bodyscapes – improvised vocal and gestural performance with J D Young’s video art. 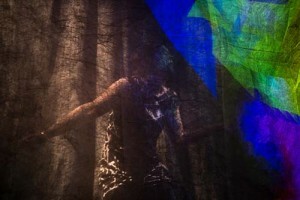 I’m in the process of editing videos of the Bodyscapes Sydney Fringe Festival season. Here is the latest video, where I play a customised gestural instrument, the Telechord with Robbie Mudrazija on electronic drums.